The U.S. Air Force has accepted the first delivery of Boeing Co.’s long-delayed aerial refueling tanker despite flaws that remain to be fixed, the service said Thursday. 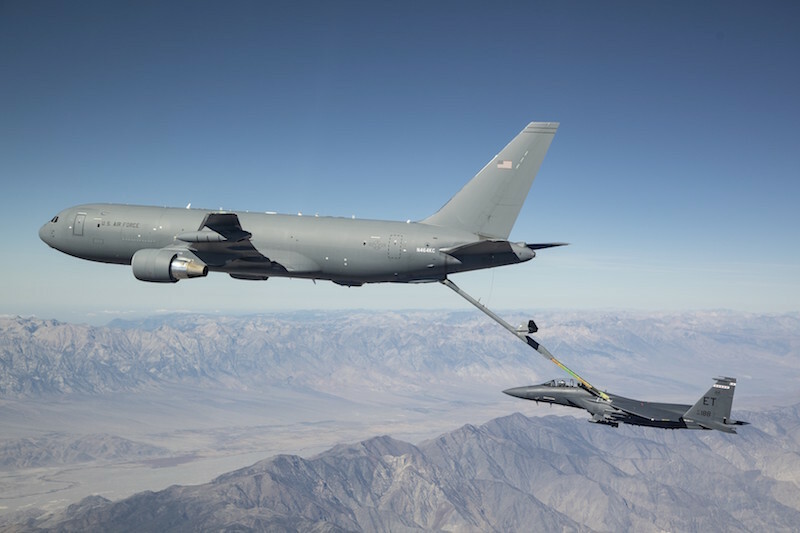 The first eight of 179 planned KC-46 aerial tankers in the $44 billion program will be accepted from now through February. That’s more than two years late -- and it may take as long as four more years to upgrade the troubled camera system used in refueling operations. The Air Force is withholding as much as $28 million from the final payment on each aircraft as a financial hook to ensure Boeing makes the necessary improvements. ARLINGTON, Va. --- The Air Force accepted the first KC-46A Pegasus tanker from the Boeing Company Jan. 10. (EDITOR’S NOTE: In a separate statement to the Washington Post, the Air Force said it “has determined that these deficiencies do not prevent the tanker from carrying out its primary mission,” and that “corrective actions” to fix the deficiencies should take three to four years. SEATTLE --- The U.S. Air Force has accepted the first Boeing KC-46A Pegasus tanker aircraft, setting the stage for the aircraft’s delivery to McConnell Air Force Base, in Wichita, Kan., in the coming weeks.